You got the picture? Yes, indeed, I absolutely agree with you: this sounds a bit unreal. Like a dream. And that's how it felt. Or like starring in a film, say, Sofia Coppola’s “Marie Antoinette” part two. 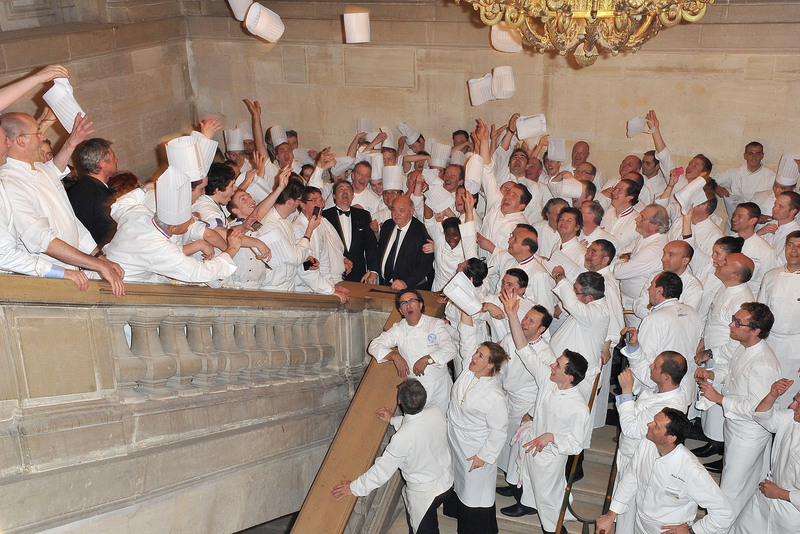 Yet in fact, this happened to be Le dîner des Grands Chefs, an extraordinary dinner in honour to the French gastronomy organized by Relais & Château and Les Grandes Tables du Monde. In other words: the dinner of the century. 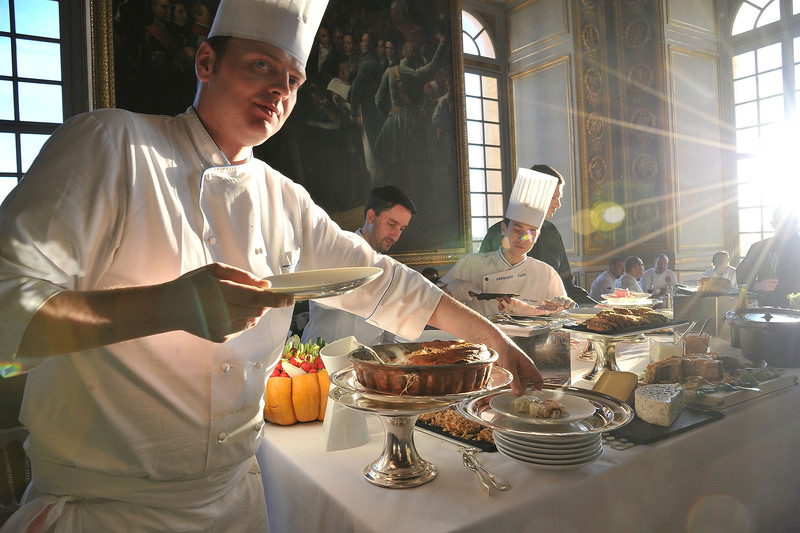 Last November, the French gastronomic meal joined the UNESCO’S list of world’s cultural treasures. It became part of the “intangible cultural heritage of humanity”. Yesterday evening was the occasion for France to prove that French gastronomy deserves the title. It was the moment to put a spell on everybody who ever doubted for one single moment the superiority of the classical French meal. Sounds like a bit French megalomania? Yes, but at it’s best. 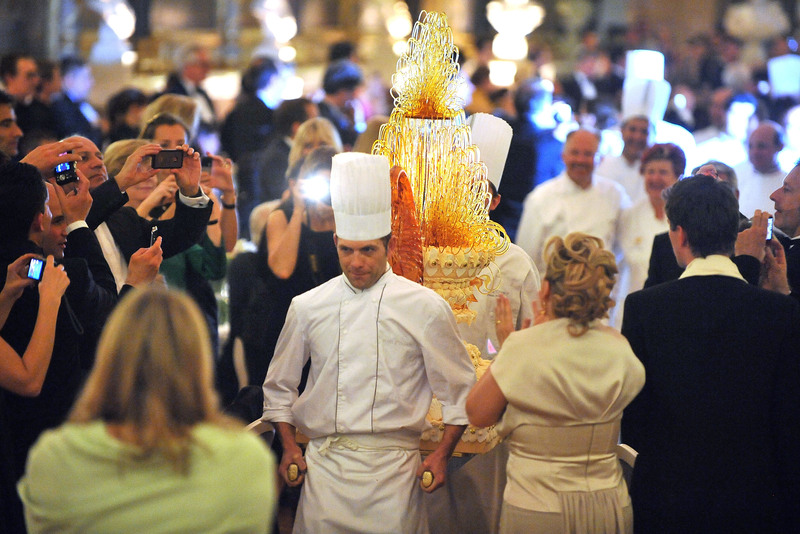 The list of the attending chefs reads like a Who's Who of gastronomy: a lot of French chefs like Hélène Darroze, Marc Haeberlin, Edouard Loubet, Guy Martin participated, but also stars from abroad like German chef Johann Lafer, Austrian Toni Mörwald and the Japanese chefs Kiyomi Mikuni and Hiroshi Ymaguchi. Even the recently so celebrated chef Rasmuss Kofoed, chef of "Geranium" in Copenhagen, showed up - but preferred not to cook, just to enjoy. Just translate this with lobster, sea bass, duck.... and I hope you mouth is watering by now. 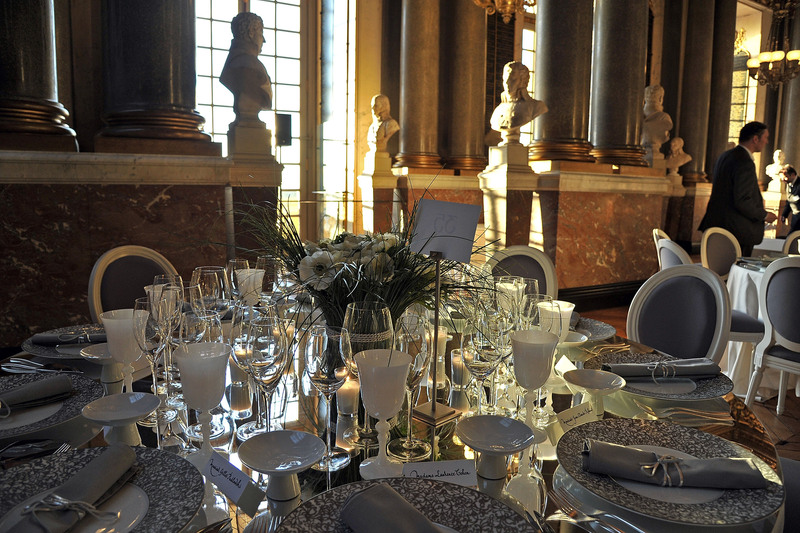 Diffcult to say, what was more impressive: the food or the setting or the social event as such? All together made the dinner of the century, I guess. In front of me: the lobster. On my right side: Jean-Louis, a picky food journalist of Les Echos. Taking notes and later on harshly criticising the sea bass prepared by Patrick Bertron, a three-star-chef from Burgundy. On my left: Bertrand de Saint-Victor, who writes a column in Le Figaro, called “Sur invitation”. Every day, Mr. Saint-Victor writes about what they call the mondanités in Paris. The society events. In other words, he spends every night out, dining here, dining there, meeting the tout Paris, always chasing the place to be. Fascinating. You must imagine Mr. de Saint-Victor as a very French version of the British gentlemen. Elegant, discreet, with an unerring eye registering every detail, registering the smallest crack which lets you perceive the other side of the coin. He seemed to be sending emails with his Blackberry but eventually I understand that he was simply writing his column with a kind of hot pen. How could he possibly, the day after, remember beautiful sentences like: “The Chateau Yquem arrived like the King Sun King himself amid the applause of the guests.” Which was true. 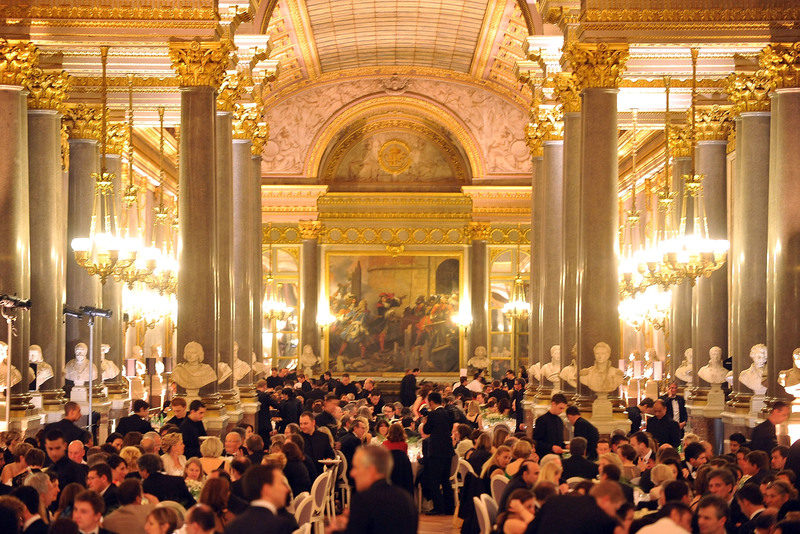 Standing ovations for food and artistically impressive cakes, the setting definitely makes one think of the court of Louis XIV. There was also Yoshimi Uchisaka, president of the Japan Association of Taste lessons, in an extraordinary kimono, beautifully wrapped around her waist allowing her only to eat little bird-portions. When we arrived at the Roquefort, she would hide the rest of her cheese under thin slices of bread like she was hiding her notebook and her pen in her sleeves. Never lose face. Smile, enjoy the French gastronomic meal that starts with an aperitif and that will never ever end.